With Splatoon's free DLC set to largely wrap up in January, beyond balancing tweaks and fixes, its no surprise that it'll try to close with a bit of a bang. Since its May launch the game has expanded a great deal with new modes and maps, and it'll be the latter which gets a boost soon. Piranha Pit and Ancho-V Games will be additions, and Nintendo has thought of a typically Splatoon-esque way of showing them off - through music and dance. It's not completely gimmicky, though, as you do get a good look at the general layouts of the stages. Ancho-V Games, in particular, looks relatively complex in its layout, but that's not exactly a bad thing. Do you like the look of these stages? Let us know in the comments. Awesome video. Had me wondering if it was made in house or they hired somebody to do it. Like the look of both levels. Does make me sad though we never got any of the very cool techniques in single player in multiplayer - fountains, sponges and the invisible surroundings. I'd be willing to spend $15 on a stand alone DLC single player campaign equal to the one in game. It was short, but it was fun. To bad we never got robot AI octolings either. Would have been really nice to practice the new levels offline against them rathr than just running around an empty world. Man, now I really want a sequel. The game was so great, but it could still have been even better. @MJKOP Maybe in the sequel our squid can moonwalk. @rjejr Museum d'Alfonsino contains single player material (rotating platforms). And Mahi Mahi Resort contains elements that extend ideas from the single player campaign (long timed jumps). And one of the new stages has the fan-lfts. Great video. Great game. Great new stages. I heart Splatoon!! @rjejr think there's an... interpretation of the MoonWalk on a conveyer belt...? @jariw Yeah, both of those levels are pretty cool. But those things I listed I listed b/c I want them, I didn't hand pick them b/c they weren't in those levels. That would be dishonest. I may be cynical and negative but I at least try to be honest. Invisible walls and floors in a game that's all about spreading ink around was the best part of the game for me. And the engine handled it so well. No outlines, no faint shadows, nothing at all that I was able to see. Either there was ink, or there was nothing. I'd also like to see the zip line wires. Though I really really hated them at the end of the boss fight, died several times trying to jump on, but they were still a very cool way to travel and I wish they would put them in multiplayer. In fact when I first saw the vid above for Anchovie I thought we were finally getting them, but then I reaized it was just the NPC on them. So yes, single player techniques are slowly making there way into multiplayer, but if they are announcing the end of DLC then we aren't getting the ones I really wanted, just the ones I barely notice. The conveyor belt floors are cool looking though. I'll give you that one, though it wasn't something I ever thought about wanting I'm glad they added it. So shiny too, reminds me of SMG:-) The best graphics Wii ever had. So fantastic to see such a great new IP doing well. I truly hope it encourages Nintendo to follow up on this success in the near future with other equally energetic projects. Is that what that was? That fan caught my eye b/c it looked like it had a sprinkler on top, but I thought it was just a stationary prop. Need to go back and watch it again. Oh man, you are so right. OK, that's a cool addition. Still not one I wanted, but I can't deny it. Is anyone else curious about how the conveyor will count towards the 'ink turfed meter'? Maybe it will stop rolling in the final minute? Looks really complicated. Good, but complicated. I was them to also add a very simple, small map. Walled in on all sides with lots of inflatable barriers in the middle, so that it's basically a fairly small circle with cover. It would be fantic and fast-paced as pretty much every match would end with the ground completely covered due to the small size of the map, but it would be a lot of fun and really different. Nice! The music makes me wish they'd add in some new songs sometime. Even remixes of the existing tunes would be neat. The more complex the better! @itzdanburton I was just thinking that haha, I'd love to be able dance in game! It would be cool if the dances become taunts, but I want them to add a taunt where I can say "Booyah" in battle. It would be so awesome if I was able to say Booyah when another player does something impressive. Nice to see the stages are getting more interactive! Hope they still squeeze one or two more in before the end. Would love to see the sponges platforms and ink sweepers (the rotating arms that clean up large circles of ink) in multiplayer maps. Cute video. All the gals in my household adored it. Looks to me like fertile .gif territory, but what do I know? It's quite surprising to feel so strongly about Splatoon, but maybe I was due since those other two shooters are well over ten years old. That said, I've been an active gamer all this time jumping from this multiplayer shooter one month to another for a few weeks and so on. You get to a point where you accept nothing is going to sink its teeth in the same way and start to worry about the financial investment instead. And yet, Splatoon is that great. But the true testament is how it's enraptured my entire family: my wife, who has been an avid, nonviolent-style gamer most her life; my son (6), who has developed substantial skills with many different loadouts; daughter (4), who mostly likes to run around inkopolis and play in the test area when not sitting on daddies lap as he wrecks with her low level squid girl, and even the baby is enamored by the sound and sights. Further, in an unbelievable twist, the grandparents actually enjoy watching the kids play Splatoon when Grandpa is generally opposed to anything that invades on his TV time. @ACK I couldn't agree more. It is spontaneous kid friendly fun...and who can deny the beauty of the ink!? Splat👀n on! My license plates read: INK-ING. Everyone thinks I'm into tatoos, but my Splat👀n squid stickers tell another story. @ACK wow, nice post thanks for sharing! I work late some times, & I got the shock of my life when I came home about 10.30pm & my partner was playing Splatoon! Unprecedented in my house lol, & she was loving it! I've got my son an inkling hat for Christmas & I cannot wait till he sees it! Haha that was different but pretty welcoming ! Huh! Finally* brought the fan-moving platform mechanic from the single player over. All we need is the zip lines. I want to control that dance animation! How about a dance mode for Splatfests where you have to quickly press the right buttons like in a dancing game? And if do it right for a whole song, your Splatfest team gets points for this? @ACK What a great story, thanks for sharing! I feel similar about Splatoon, although so far I "only" put 300 hours into it. And it still feels fresh and new, not least because of the steady flow of new content, but also because I tried a lot of different play styles since the release. @Grafeaux Haha that's really cool. Can't wait to try the new stages. 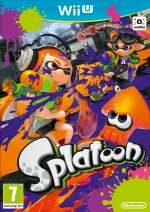 Should end the Splatoon development on a high note. Will be interesting to see what new project the Splatoon team is working on next for the Nintendo NX. Though on other sites people are already expressing negativity over being it forced. Will either of these make it into Splatfest's rotation this weekend? Question: since i don't have this game (or a wii u) yet...will all the dlc still be free if I buy it after january? :/ Idk how that works. @Sylveon The game is just version updates. There's no optional DLCs to download for Splatoon. It will update automatically, and to be able to play online everyone need to be on the latest version. @rjejr Really like the idea of AI Octolings for map practice. Heck, playing on the updated maps, compared to their existence in Octo Valley... And, hey, with all these new maps, I could see for some more OV and Battle Dojo content! C'mon, a last hurrah for the offline components! @TJF588 " and transfer progress to an inevitable sequel.)" Never thought about that. Does that happen for any online shooter game that has yearly sequels? Destiny Taken King was just DLC in a box as far as I could tell, and I don't think COD carries over. I suppose it would be nice though for the rankings and gear if they carried over. Though it might give people less incentive to play as much unlocking everything. One thing that needs to carry over is amiibo support. Splatoon amiibo should unlock something in the new game w/o having to buy new amiibo. If they want to make new amiibo fine, but the old ones need to work as well. Maybe playable Octoling amiibo? Or Callie and Marie? Maybe they could do an update where your gear carries over via amiibo? I don't think there has been a single game yet that WRITES to the Spaltoon amiibo, has there been? I'm such an addict to this game, and I have never once enjoyed a shooter before. Always extremely excited to dive into new stages ! !